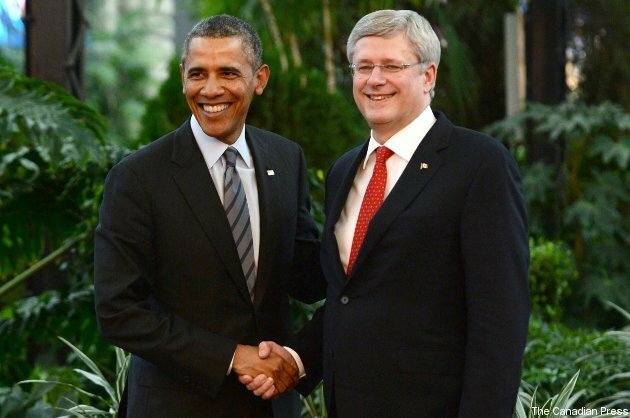 President Obama and Prime Minister Harper also have a history of betting on the Olympic Hockey games. Canada won gold in 2010 at the Vancouver games and Harper ended up with two cases of beer, one of Molson Canadian, another of Yuengling Lager. The press secretaries got into the act, forcing Robert Gibbs to wear a Canadian jersey to a press conference when the Americans lost. Much of Washington DC has gotten into the act. The Canadian Embassy opens its doors for rivalrous game viewing parties during the hockey matches. Things get more than a bit rowdy as food, drink and scores mix. It’s decidedly not the War of 1812, but it’s pushing it. At the end of the women’s game, when Canada ended up on top sports diplomacy went into high gear with a heavy dose of “gotcha” humor thrown in. The Americans in the crowd were gifted with bright red mittens, boldly emblazoned with Canada and the maple leaf. For their part in resolving the bet, the Canadian Women’s Hockey Team should be congratulated on a nail biter of a game and the win. In truth the American team almost pulled off the win, but the Canadians forced the game into overtime with a last minute score. The final score was 3-2 Canada. The two teams have been rivals since the Nagano Olympics in 1998. This was the first year that women’s hockey was allowed into the games. The Americans won that inaugural year, but Canada took the gold in 2002, 2006 and 2010. With the back-to-back win yesterday, the team has a record four gold medals in the sport. Can you imaging what the competition will be like in four years time? America just missing the win by a heartbeat may just bring out some fiercer competition. Then again, Canada will be going for a fifth gold, an enticing incentive. It looks like the two leaders of Canada and the United States may have to rethink their bets. Whoever is in power in 2018 just might want to hold out for something more than beer. No matter the bet, the game and the ensuing rivalry will no doubt reach epic proportions. Tim Horton’s and Beaver Tails anyone?